E-commerce is changing the way people shop across the world. Nowhere is this truer than in China, where billions of internet users, a rapidly expanding digital payment market, and hugely popular online shopping festivals have helped the nation gain a 40% share in the global e-commerce market… in little over 10 years. Join us on September 25th, when we’ll be joined by China expert Ed Sander, to discuss how China has grown its e-commerce market so quickly. Ed Sander has a background in CRM and data-driven marketing and is the co-author of the Dutch award-winning book Event Driven Marketing and its English follow-up Follow That Customer. After working in this area for various companies, Ed decided in 2010 to become an international volunteer and was sent to China from 2011 to 2013. In the city of Xi’an, famous for its Terracotta Warriors, Ed served as a marketing consultant for various local NGOs. It was during this time that he developed a strong fascination for digital innovations in China. Since 2012 he has published over 150 bi-weekly articles about topics including e-commerce, social media, new retail, Chinese tourism, cultural differences and more. Since returning to The Netherlands, he founded ChinaTalk with his Chinese wife. 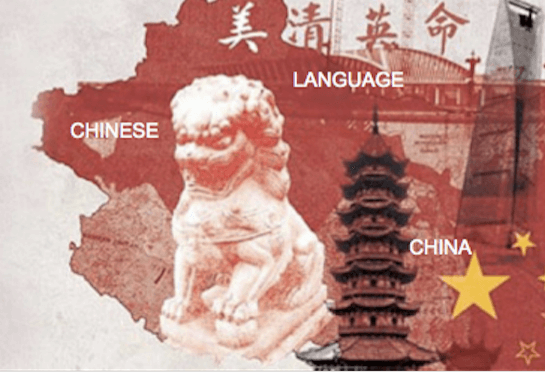 The services of this organisation include education in Chinese Culture and Language as well as lectures, workshops and presentations on digital China for universities (of applied sciences), companies and seminars. Hutong School was founded in 2005 to answer to the growing demand of students, graduates and young professionals from all over the world eager to discover China. As an officially accredited language school, Hutong School creates new opportunities in China through its Internship Program and Intensive Chinese Programs, as well as Entry Level Job Placement service. Hutong School is the leading company in its sector, offering all-inclusive programs in Beijing, Shanghai, Chengdu and Hangzhou, as well as introductory Chinese courses in many western capital cities.